Package your own Personal & Private Tour around any of the following tourist attractions. 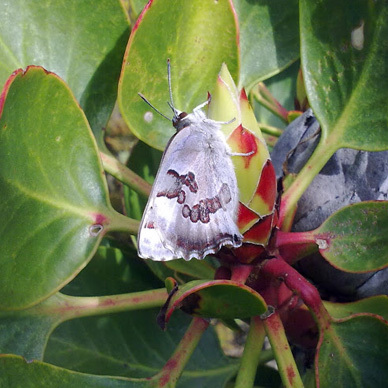 A full day tour takes you out of the City and into the magnificent countryside surrounding Cape Town. 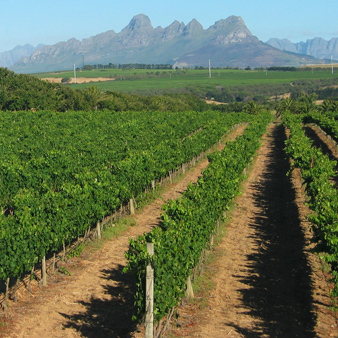 We visit the following premier wine producing regions of Stellenbosch and Franschhoek, Stellenbosch and Somerset West or Paarl and Wellington. The Whale Capital of S.A.
Whale season is June to early December. A full day Tour. 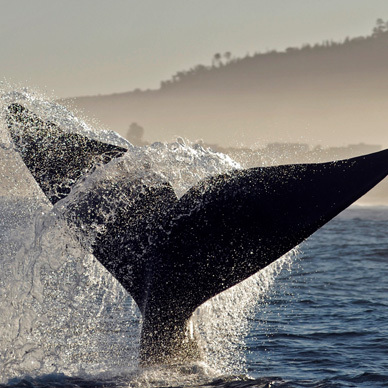 Boat Based Whale Watching: The Ultimate Intimate Whale Watching Experience. We travel the scenic coastal route via Gordons Bay, Pringle Bay, Bettys Bay and Kleinmond, visiting the regions excellent wine estates, and return via Elgin and Sir Lowry's pass. A World Heritage Site: Visit the maximum security prison, including the cell that housed Nelson Mandela. The three and a half hour tour departs from the Nelson Mandela Gateway at the V & A Clock Tower. 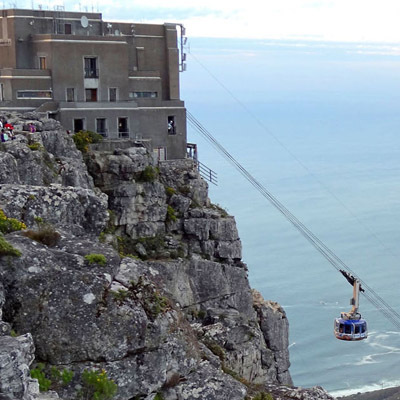 Visit the Cape's big 6 tourist attractions with us. Table Mountain, Robben Island, Cape Point, V & A Waterfront, Groot Constantia Wine Estate, Kirstenbosch Botanical Gardens. 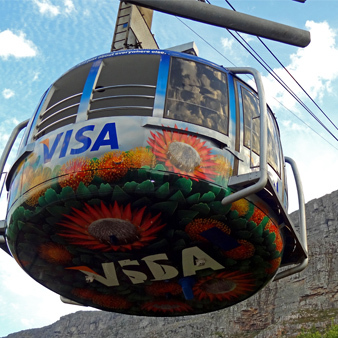 You take the cable car to the top of Table Mountain where you enjoy unparalleled views of the City and surrounds. This is followed by a drive along Signal Hill, taking in breathtaking views of the City, Table Bay, Robben Island, and the Atlantic Seaboard Suburbs. This is followed by a drive through tour of the City, taking in a number of Historical Sites. Est. in 1913 and declared a UNESCO World Heritage Site in 2004. Groote Schuur Hospital and Kirstenbosch National Botanical Gardens, are all on land, left to the Cape Colony in Cecil John Rhode`s Will. Great White Shark Encounters take place in False Bay, departing from Simon`s Town, and from the coastal town of Gansbaai. 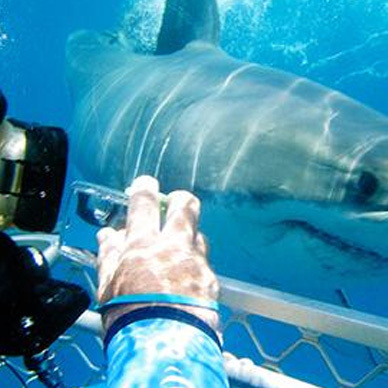 We offer both venues, as Shark Cage Diving closes in False Bay from Mid October until the end of January. Our scenic tour starts overlooking False Bay and Kalk Bay Fishing Harbour. We pass though Fish Hoek, on route to Simon`s Town Harbour and Waterfront. We visit the Penguin colony at Boulders Beach, and then continue on to Cape Point. 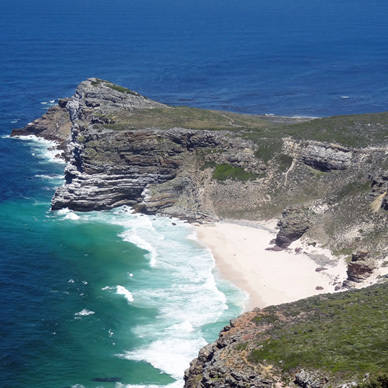 We return via Scarborough, Kommetjie, Noordhoek and the spectacular Chapman`s Peak Scenic Drive. 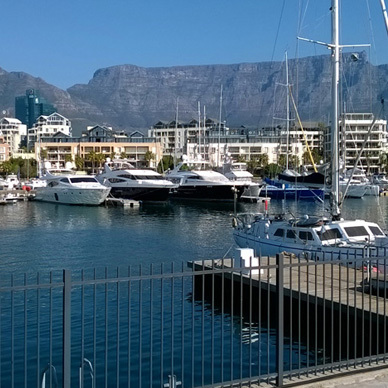 Table Mountain Cableway and the V & A Waterfront. Robben Island Museum and the V & A Waterfront. Cape Point National Park - The Cape of Good Hope. The Castle of Good Hope & Rhodes Memorial. The Slave Lodge and Company Gardens at the top of Adderley St., Cape Town. Clifton and Camps Bay Beaches and Restaurants. Simons Town and Boulders Beach African Penguin Colony. A drive to the top of Signal Hill. Twelve Apostles drive to Llandudno and Hout Bay. Chapmans Peak Drive to Noordhoek, and the Cape Point Vineyards Wine Estate. The scenic Drives: Ou Kaapse Weg and Boyes Drive. Simons Town to Cape Point via Millers Point,Smitswinkels Bay,returning via Scarborough and Kommetjie.